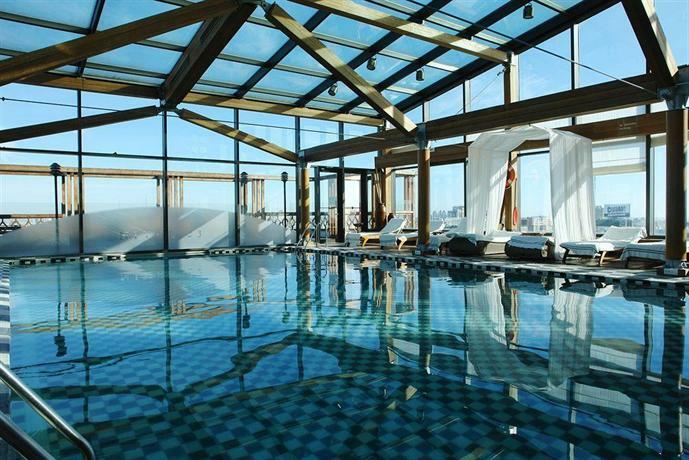 Located on the 23rd floor of the 5 star Panamericano Buenos Aires the rooftop pool offers a panoramic view of Buenos Aires below. Decorated with a classic black and white subway tile, the indoor heated pool is surrounded by glass walls, a glass ceiling, and classic timber framing. The pool features soft cushion wicker loungers, a wood pool deck, sun terrace, indigenous planters, and day beds with privacy curtains.